If you are starting a new perfume business, upgrading the quality of your perfume bottles and want to reduce your start-up cost as much as possible, this is the kit for you! Hand-Held Crimping Tool : Will crimp 15 mm pumps ONLY. Execution of bottle crimping is fast and simple, making the tool ideal for small-scale production or lab use. A high-quality, multi-tooth crimp with a tight crimp seal every time, ensuring that crimps are long-lasting and reliable. Collar Fitting Tool: This is a low cost alternative to the press for fitting 15 mm collars and crimp-less pumps. Crimping tool required. Ships un-assembled. 50 ml Square Glass (Cubique) Perfume Bottle includes Glass Stopper with brushed glassed sealing closure. 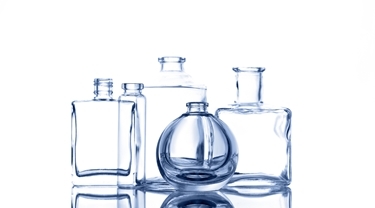 15 ml Glass (N.7 Style) Perfume Bottle includes Glass (N.205 Style) Stopper with brushed glassed sealing closure. Made by Verreries Brosse in France. 15 ml Green Glass Apothecary/Cosmetic Bottle includes polished black cap with orifice reducer. Quantity Discounts Available! Click on product name for more details. 60 ml Green Glass Apothecary/Cosmetic Bottle includes polished black cap without orifice reducer. 30ml (1 oz) Spray atomizer bottle for alcohol based perfumes and colognes. Transfer pipets, fine tip, non-sterile. Great for measuring by drops or weight! If you want precise volumetric measurement, I recommend using syringes instead (not sold here).